Share with Friends and Followers! 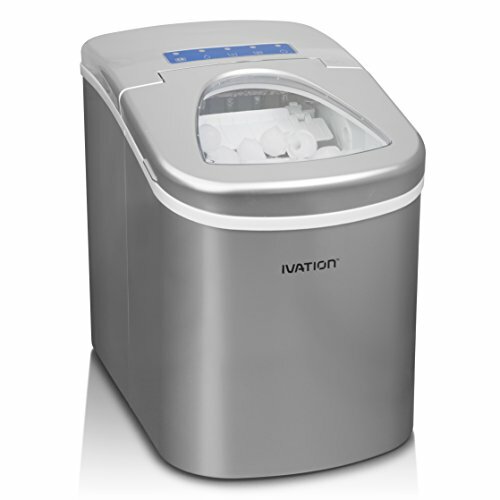 I’ve been waiting about 6 months for a home nugget ice maker machine to become available on Amazon! Why wait? Because with Prime, I can get free shipping (though, free shipping is already included with this product…but that’s why I waited.) PLUS, I didn’t see one I really liked and the one I did like wasn’t available yet. It was going to be available “soon” and even then, it wasn’t going to be on Amazon. 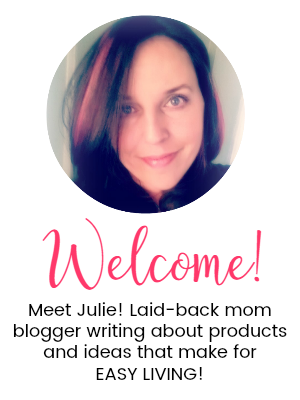 But it is, now and I’m thrilled to be sharing it with you! ==> In a HURRY? 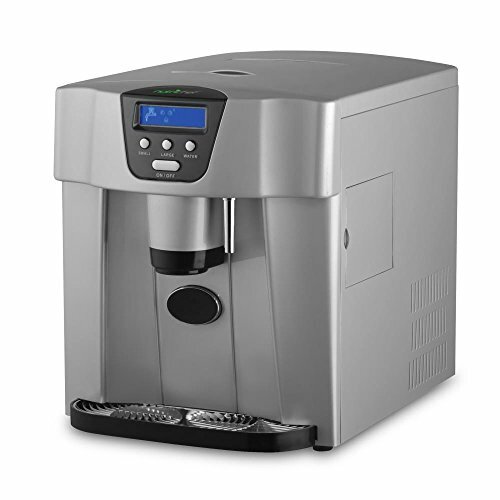 See ALL home nugget ice maker machines available today! If you’re like me, you love crushed ice. Particularly, nugget ice that always seems to make a drink taste better. I don’t know what it is. But if you drive to a particular place, like Sonic, just to get a drink with nugget ice, you’re my people. There have been times that I don’t even want food. I just want a crushed ice soda! Imagine my surprise just last week when In-in-Out, a favorite SoCal burger joint, started serving drinks with nugget ice! Talk about making a favorite place even better! 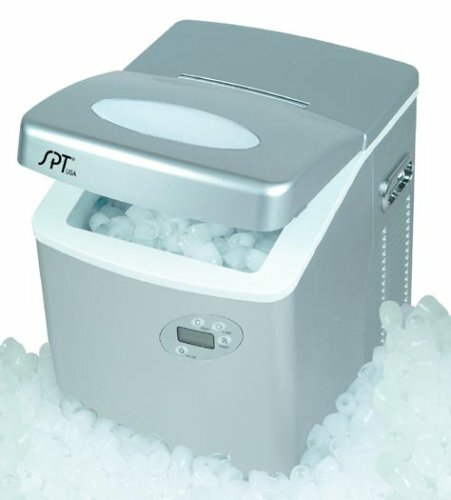 Opal Nugget Ice Maker Except drinks are at least $2 each (give or take a few cents.) That money adds up. Now, I can have a stash of my favorite kind of ice on hand and use it to chill any kind of drink. 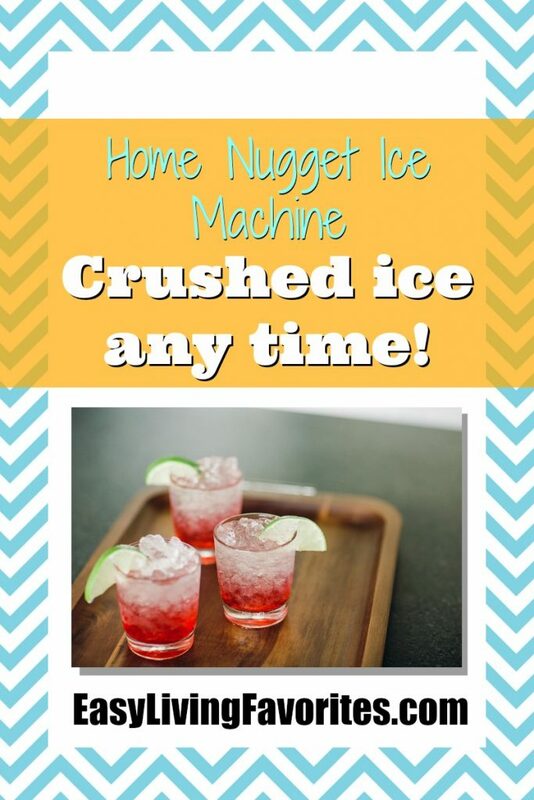 I love cocktails and crushed nugget ice is perfect for them. I don’t make a habit of it, but crunching a few nuggets on a hot day really hits the spot. And the unit itself doesn’t take up much space on the counter but holds up to 3 lbs. of ice, so I can build up a nice stash or use it to make enough ice for just a few drinks. I don’t have an ice maker in my fridge, so I’m stuck with either buying from a place that uses it or getting my own ice maker. But believe it or not, there aren’t many models on the market that will make crushed or nugget ice, which is what I prefer. 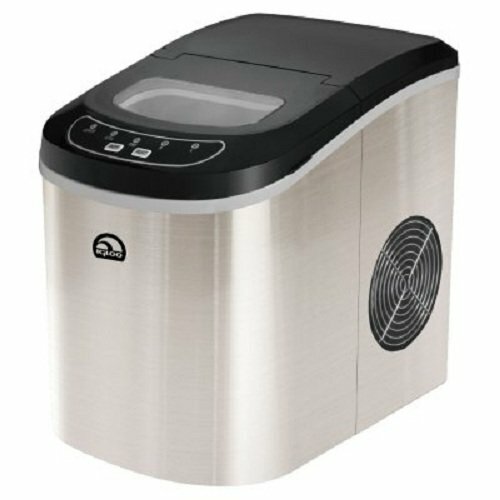 So let me share my top choice with you and show you some other options of countertop ice machines if you’re open to other cube types. 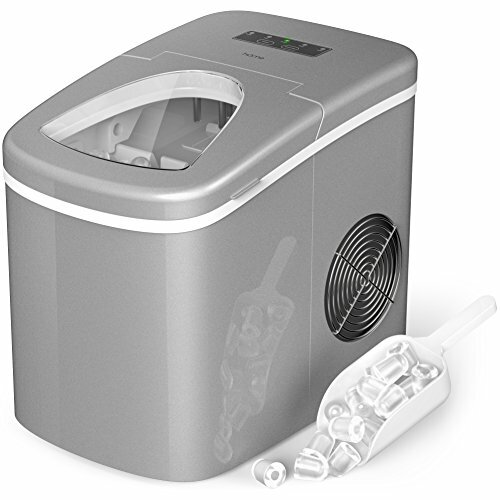 The best nugget ice maker is the Opal Nugget Ice Maker. It fits on your countertop right under your cabinets at just over 17 inches tall. It’s pretty heavy – 44 pounds – which means you’ll probably want to find a place for it and keep it there. But it’s still light enough that you can move it should you need to. Design-wise, it’ll probably match most kitchens, if that’s something you’re concerned about. 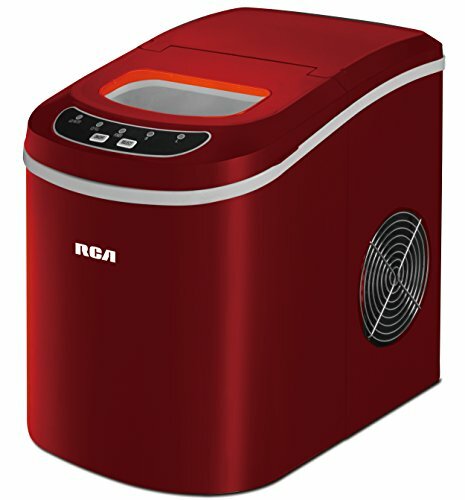 I’ve shared my top pick for a small nugget ice maker for home use. If you’re open to options, there are some other choices that don’t make crushed ice or nuggets, but do make small ice cubes in various shapes. And if you’re lacking storage space in your freezer or don’t have an automatic ice maker built into your fridge, there are several models that might work for your needs. 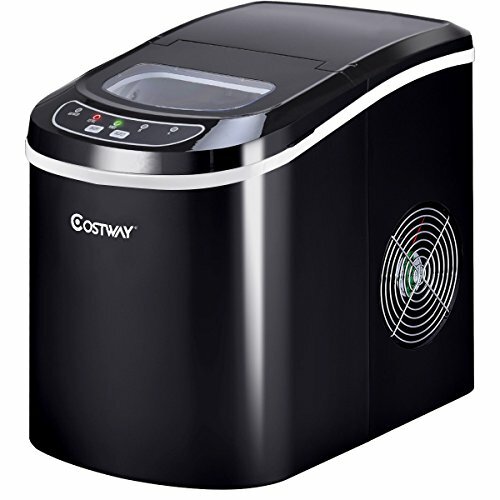 As for the cheapest, expect to pay about $100 for a countertop ice maker and I can’t guarantee that you’ll get nugget ice or crushed ice. But I DID find one that makes 3 different sized cubes and one of those sizes is a “chewable” size, as noted by reviewers. This is the model you see on the right. You will also find some great bullet-shaped ice cubes in various sizes – some smaller than others that come very close to nugget ice. Finally, check out those options I was telling you about. 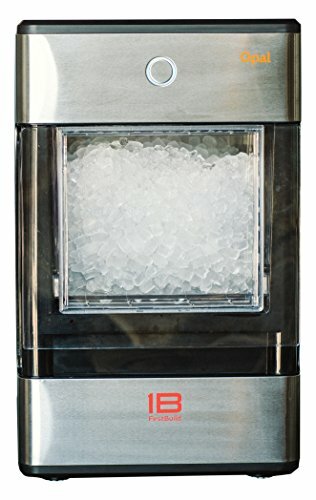 You won’t necessarily get crushed ice, but it’ll be darn close, darn convenient, and great for drinks and cocktails!